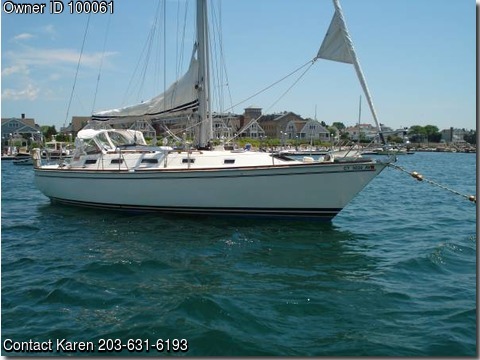 Boat is located in Noank,Connecticut.Please contact the owner @ 203-631-6193…In very good condition. New engine, stove/oven, electrical system & thru hull fittings replaced in 2009. In 2013 all new cushions and curtains throughout, sails reconditioned and new Sunbrella on jib. In 2015 new starter and house batteries. Max prop w/cutter reconditioned at factory in 2013. Boat has radar, tack-tick system, centerboard keel, spinnaker pole and spinnaker.